*This post is sponsored by Bird’s Eye®. All thoughts and opinions are my own. 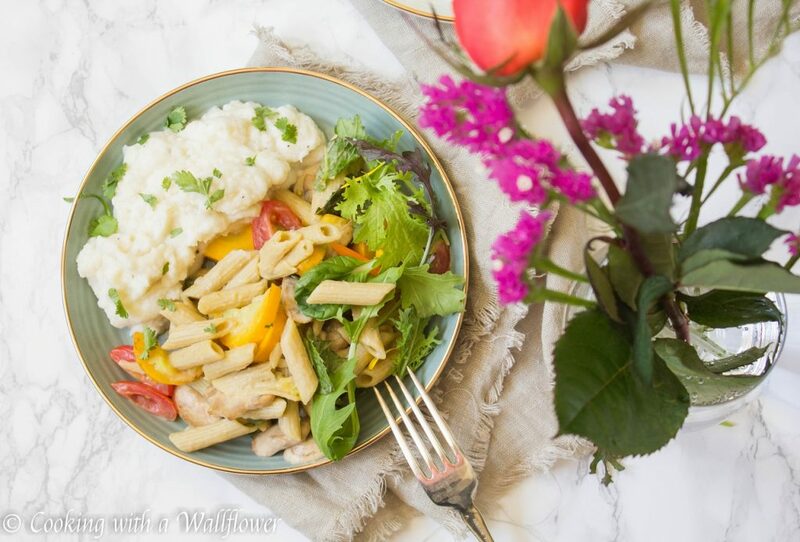 Zucchini lentil pasta tossed with summer squash, mushrooms, and grape tomatoes and served with a side of creamy mashed cauliflower. 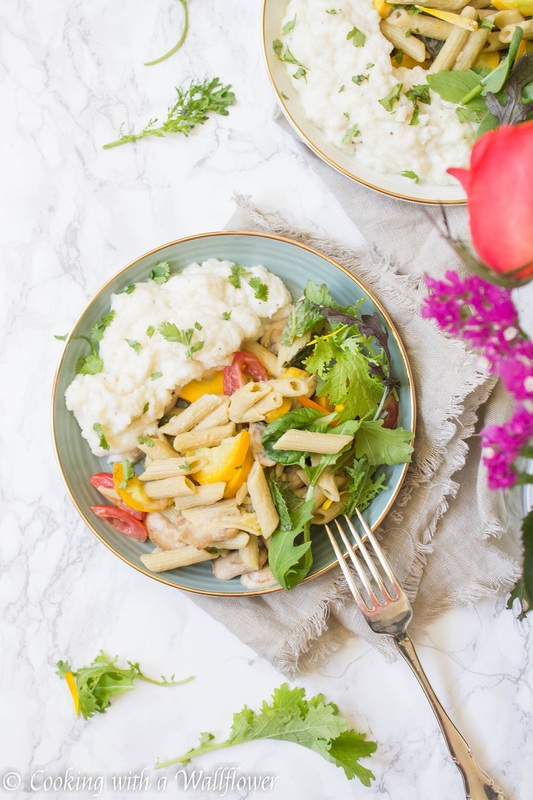 This zucchini lentil pasta with mashed cauliflower is simple to make and so delicious. It’s finally summer, and I’ve been obsessed with all the fresh produce at the farmer’s market. From various summer vegetables and squashes to all those berries and stone fruits, I just can’t resist! Every weekend when I’m at the farmer’s market, I end up buying so much more than I planned. In order to incorporate more vegetables into my meals, I’ve been adding vegetables to just about everything I make lately. 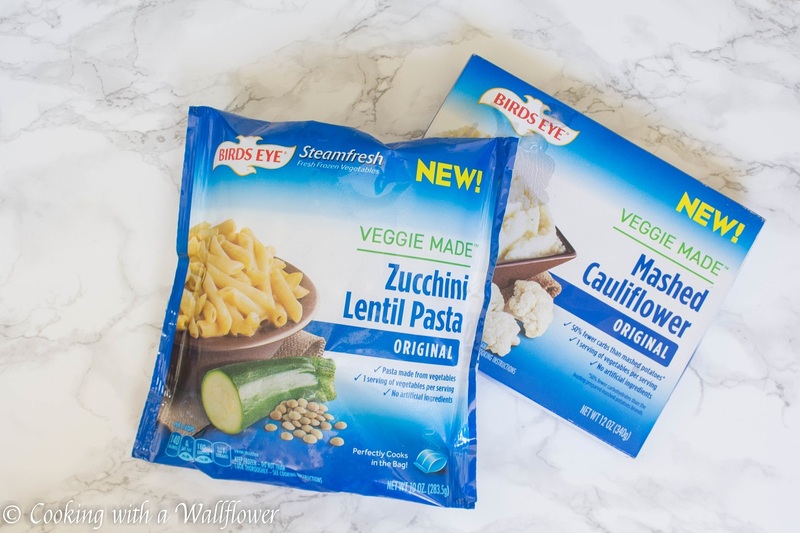 But recently, I discovered Bird’s Eye® Steamfresh® Veggie Made™ Zucchini Lentil Pasta. Have you heard of it before? 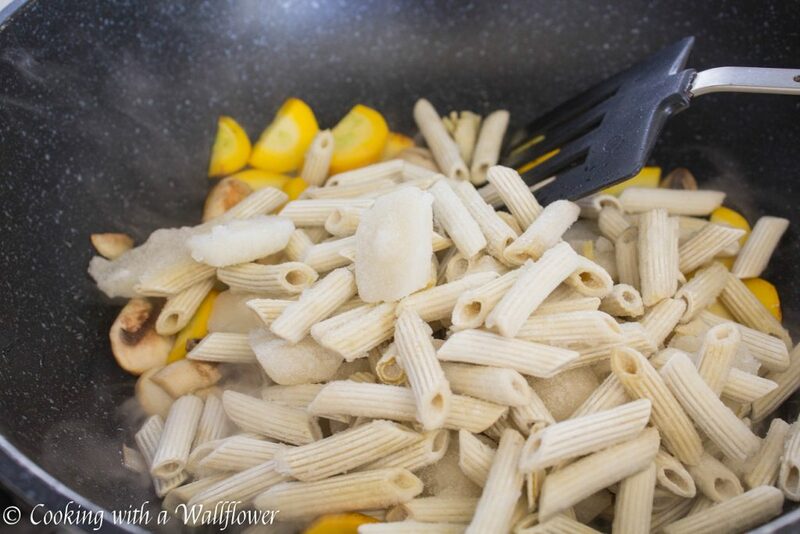 What I love most about this pasta is that it’s made of real vegetables. 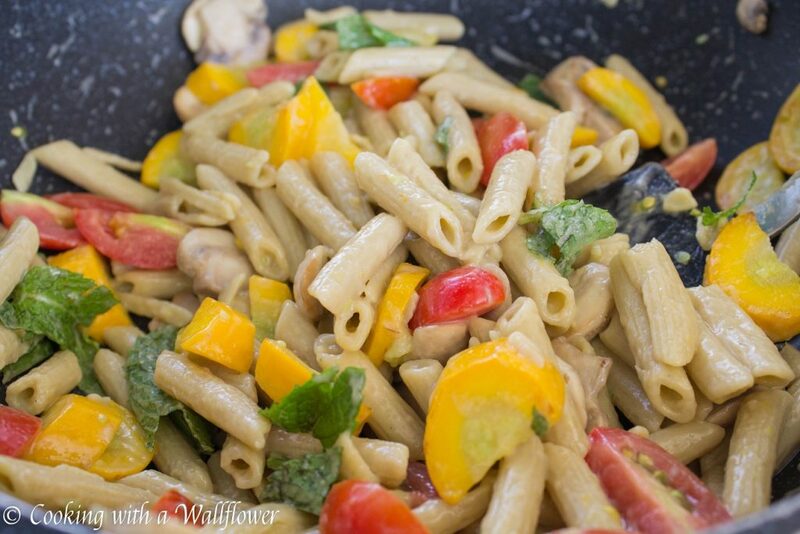 You get one serving of vegetable per serving of this pasta. It’s such a great way to eat more vegetables. The zucchini lentil pasta are already coated in a delicious and flavorful sauce. All you have to do is heat the pasta in the microwave or in a skillet. So it’s easy and simple. But I love dressing up my pastas with even more vegetables. So, for this dish, I added summer squash, mushrooms, and grape tomatoes. But if you prefer other vegetables, you’re welcome to add your own. You can even add your favorite protein. Bird’s Eye® Steamfresh® Veggie Made™ Mashed Cauliflower is a great side for this pasta dish as well. It’s super creamy and flavorful. It’s hard to tell that they’re not potatoes. You can even use it as a sauce for the zucchini lentil pasta, just thin the mashed cauliflower out a little by adding a little water. You’ll love this dish as much as I do. And you can find these products and so many other varieties at Kroger. In a medium sized skillet, add vegetable oil over medium heat. 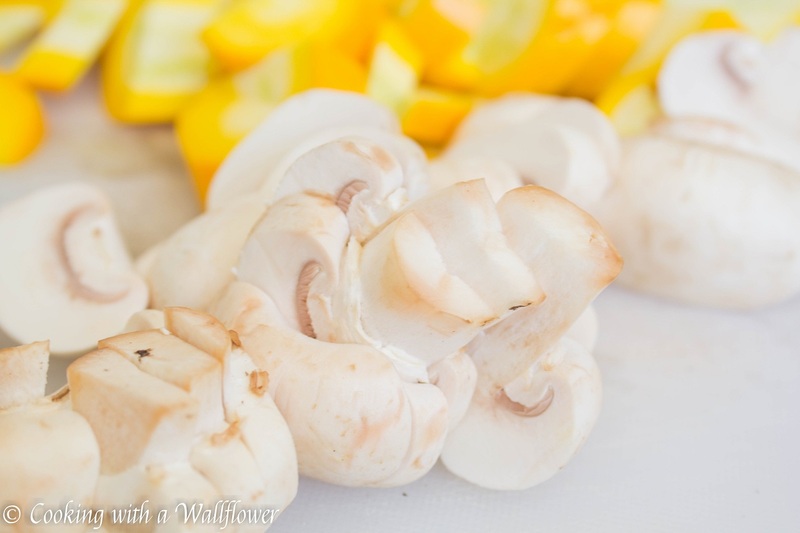 Allow the vegetable oil to heat for a minute before adding mushrooms. 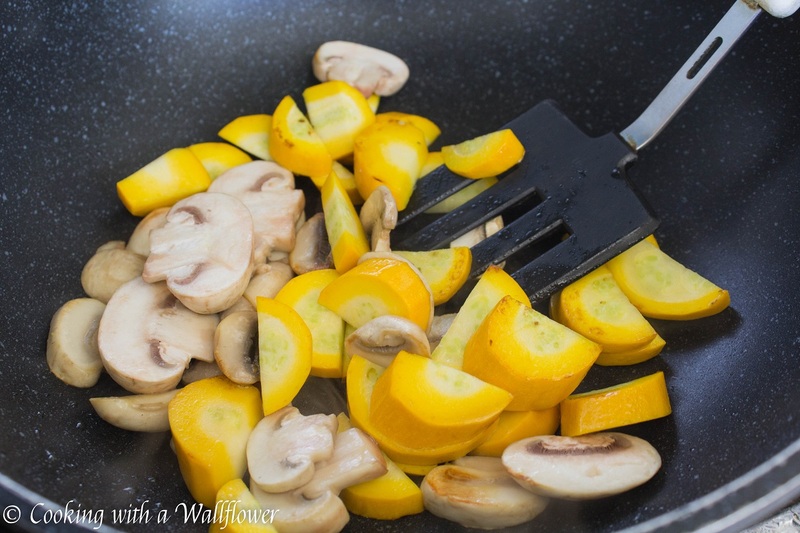 Cook the mushrooms for about a minute then stir in the sliced summer squash. Cook the veggies for a minute or two until tender. Now, add the Zucchini Lentil Pasta plus two tablespoons of water. Cover the skillet and allow the pasta to cook for about 6-7 minutes, stirring occasionally. The pasta will soften and the sauce will thicken. If the sauce is too thick, add about two tablespoons of water and a pinch of salt. Stir in the grape tomatoes, and remove the pasta from heat. 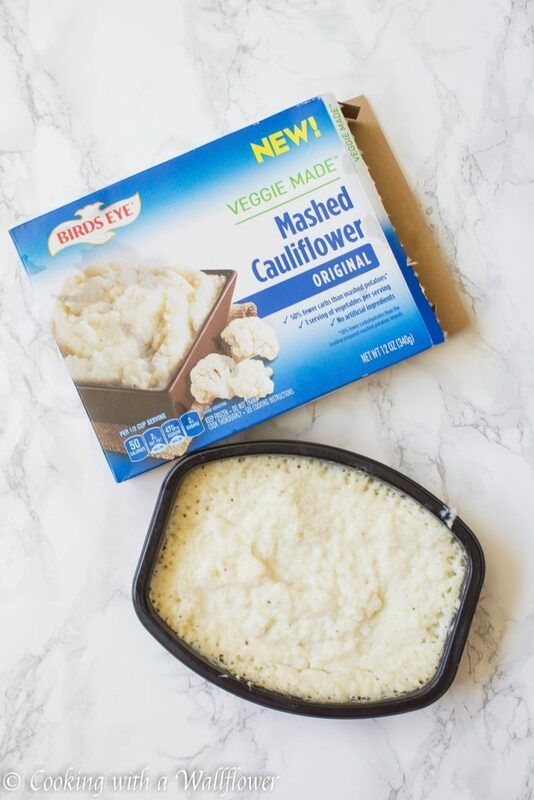 While the pasta is cooking, make the mashed cauliflower by heating in the microwave according to the direction on the package or by heating in the oven. 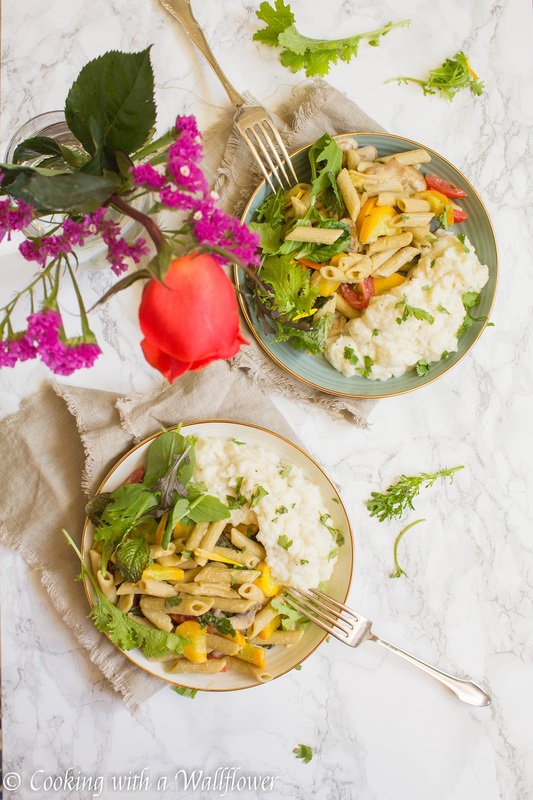 Divide the zucchini lentil pasta onto two plates, and top with a spring mix salad. Spoon the mashed cauliflower onto the dish next to the zucchini lentil pasta, and garnish with either finely chopped cilantro or parsley. 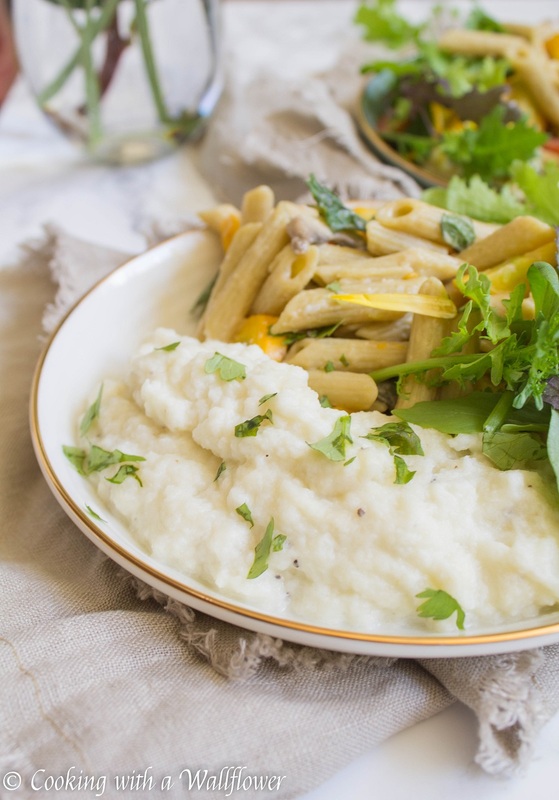 Serve the zucchini lentil pasta with mashed cauliflower warm. 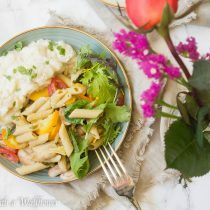 This entry was posted in Entree, Farmer's Market, Quick and Easy, Recipes, Summer Cravings, Vegetarian and tagged entree, quick and easy, summer, vegetarian.